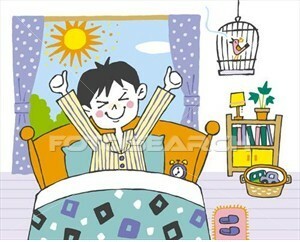 We all know that waking up in the morning does NOT look like the picture above. Not in a thousand year. Trying to crawl out of the bed with one eye shut and the other covered in gunk sure does not give you a refreshed, happy face. And then you decide to creep back into the blanket. Soft. Comfortable. Going back to sleep is an unavoidable decision. And then you are late. Haha. Anyway, have you ever noticed that actually after crawling out of bed, we only spend five heavy-eyelid-disoriented-minutes? After those dreadful five minutes, usually we already turn fully awake. So really, all we have to do is push ourselves to get out from the bed, getting adapted to the waking world. The weirdest feeling came to me that evening when I was downtown last weekend. Sitting on a motorcycle (my husband rode it), having nothing much to do, I looked around and felt utterly strange. How can I put it? It was like being sucked into a weird oldie movie. And a slow motion one. A motorcycle passed by and the rider sported a pair of knee-length boots. Boots in Surabaya are a rare sights, even in malls. And here was a guy with stylish boots in a shabby motorcycle. Following him was a lady in a motorcycle with very wide boot cut jeans. It was an amusing sight, as she could be a shadow from the past.